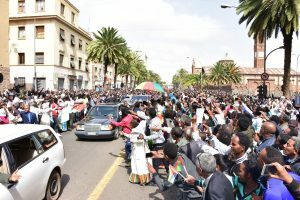 (OPride)—The unthinkable, improbable sight of the Ethiopian Prime Minister warmly embracing his Eritrean counterpart on the Asmara International Airport tarmac while thousands of onlookers ululated, danced and waved palm branches sparked an outpouring of joy and optimism among nationals of both countries. The two governments announced a new era of restored economic, diplomatic and social ties. Twenty years of friction and uncertainty appears to have drawn to a close as the two states are no longer on a war footing. 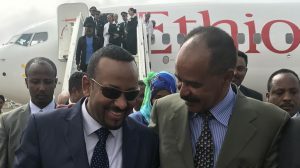 Prime Minister Abiy Ahmed’s arrival in Asmara was the first of an Ethiopian leader to Eritrea in twenty years. The two countries have been political archrivals since the breaking out of military hostilities between the two back in 1998. The devastating war which left around a hundred thousand dead on both sides may have ended in 2000, but the two countries had been at a perpetual state of war ever since. The regional enmity kept the inhabitants of both countries economically, socially cut off from each other for decades. 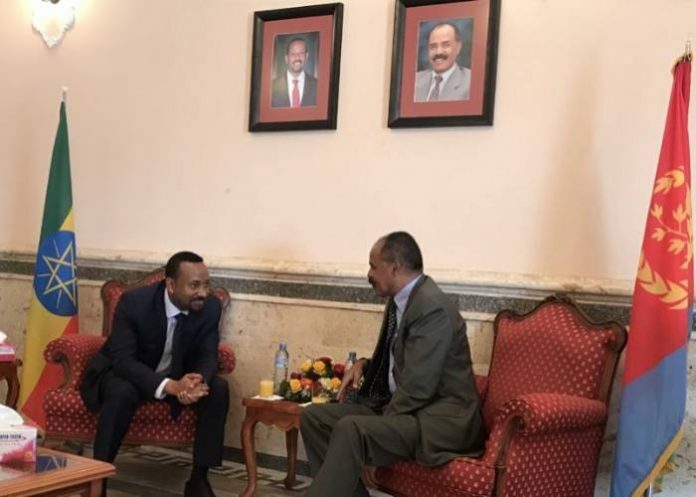 Despite some skepticism, Prime Minister Abiy Ahmed’s announcement during his inauguration speech last April that he intended on pursuing a thawing of relations with Eritrea was generally welcomed. But when the government announced its intention to relinquish control of the disputed territory of Badme to Eritrea, the ball was well and truly running. Yesterday’s visit was the culmination of these efforts. Once deemed a pipe dream, Ethiopia and Eritrea have officially reconciled and people from both sides of the border are clearly delighted. 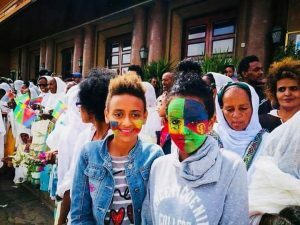 The no peace no war standoff between Asmara and Addis Ababa, kept two historically meshed societies that share common languages, cultures and faiths on opposite sides of a heavily militarized joint border. 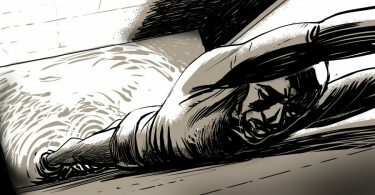 After the Ethiopian government’s decision to deport tens of thousands of Eritreans from Ethiopia, entire families were separated, split either side of the minefields and trenches where so many young soldiers died between 1998-2000. Further exacerbating the geopolitical situation was the fact that each government would pursue a policy of funding and arming opposition rebel groups seeking to overthrow the other. 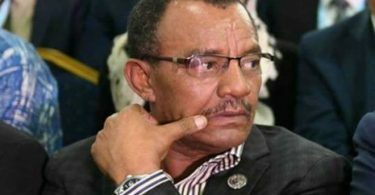 But as Eritrean mothers clad in celebratory attire lined down the streets gathered to bless the visiting Ethiopian Prime Minister, his Chief of Staff Fitsum Arega tweeted that the phone lines between the two countries, disconnected twenty years ago had been reconnected. Flights between the two countries, the opening of embassies among other things would follow soon, he wrote. “From now on July 8th is officially a holiday for me,” was how Semhar Araia, Eritrean American lawyer, and community activist summed up her feelings after processing the news. She would later state that her joy would be complete with Ethiopia’s keeping true to its word about withdrawing its troops from Badme. 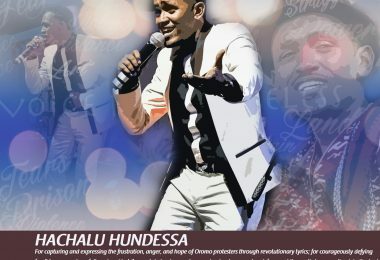 The reconciliatory gestures have made shockwaves across the continent and around the world as well. Rwandan President Paul Kagame saluted both leaders and commended them for “doing the right thing for their people.” A week ago the leader of the global Catholic church Pope Francis applauded the initiatives of both countries. 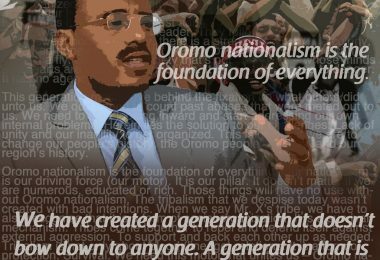 A full 24 hours after Abiy first set foot on Eritrean soil, Ethiopian and Eritrean social media forums are still full of celebratory, uplifting messages. The day that ties between the two countries were restored was clearly a long awaited occasion. The dawn of a new era that ends one of Africa’s most contested political rivalries. There is talk of Ethiopian artists traveling to Asmara to organize concerts and vice versa. Online discussion threads primarily consist of people drawing up their cross border vacation plans as people seek to cross over what still remains a heavily mined border closed off to any sort of travel. While a consensus on the need to turn the page on decades of conflict has clearly been reached, there is also the collective sentiment that all must be done to permanently halt the cycle of war.